Lest the title put you off, the title of this article is a rather bold characterization of a personal journey that is actually much more intimate in nature. What follows are my reflections on this journey. One thing I have realized in my almost five decades on planet Earth is this… benign in one person’s experience can be epic in another’s experience or fraught with peril in another’s. Therefore, all meaningful experiences must be shared, because you don’t know whose world you will rock and who may yawn with boredom. The hope is always that someone, somewhere, will be mobilized to action, whether their world was gently agitated or more violently shaken by what has been shared. All exaggeration aside, this is about how my personal inner revolution was first sparked, and how it manifested itself over time. It began with my role as a fledgling Sevadar. I had accepted a position in a grand undertaking. It doesn’t matter what the undertaking was, because all Seva is grand in nature. My initial thoughts were obsessively full of self-doubt – can I do this? What if I fail? Will I let people down? The thought of failing left me feeling phantom embarrassment, shame, humiliation but most of all, paralyzing fear! Why was this happening? As women, we are twice as prone to second guessing our capabilities and legitimacy as men, and I was certainly no exception. I obsessed over details around my Seva project. I asked for help from whoever had even the remotest inkling of the skill sets I was looking for. I even crossed ‘political boundaries’ by appealing to the ‘personas non grata’ for help. I stubbornly held on to my little visions and kept finding ways to get around the ‘No!‘s. Little did I realize, that all these actions were strengthening my resolve, creating my own Sipahi shield. I was slowly moving to soldier status. Perhaps it wasn’t slow, perhaps it was a quantum leap, after all, one woman’s tortoise is another woman’s hare. There is no doubt that what I experienced during this period of turmoil and unrest was indeed a revolution. No one else could see it though, because the revolution was in my own mind. I made a conscious choice not to reform, I chose to upset the status quo, take on the evil powers of self-doubt, tackle the voices of recrimination, and challenge the prevailing, archaic, thought processes that questioned the legitimacy of a woman’s role! I looked the “Emperor of Naysayers” straight in the eye - and stared him down! Satgur ki sewa safal hai jay ko karay chit laa-ay. 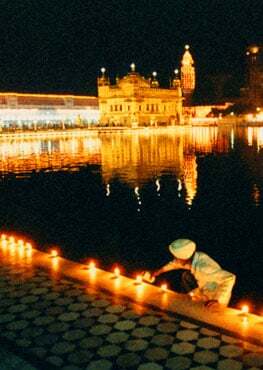 Service to the True Guru is fruitful and rewarding, if one performs it with a focused mind. I didn’t do this alone, the hand of the Almighty carried me all the way through. This is how the greatest battle of the mind in my personal revolution was fought! 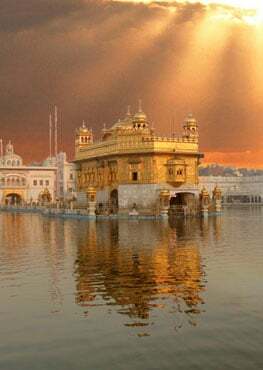 Service to the True Guru is fruitful – it was Divinely ordained, and I had unwavering faith that it would come to pass. And it has been true, time and time again, repeatedly: Satgur ki sewa safal hai. I have learned that I am a fearless Sipahi of Seva, and I will continue walking the path of selfless service in the name of the True Guru, with single minded focus while gathering my cavalry along the way.